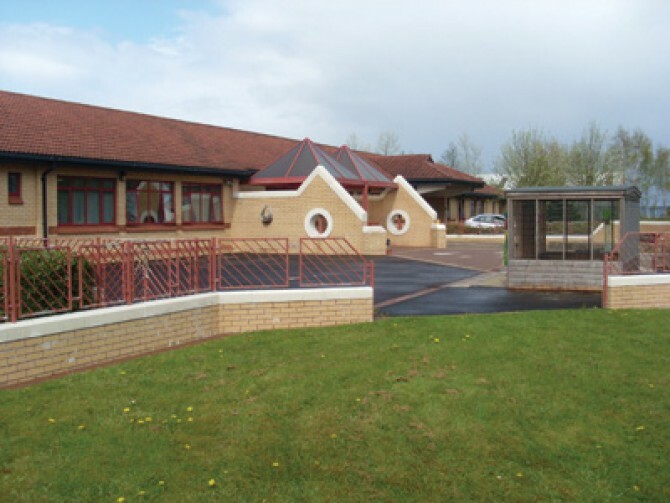 Timbertots were contacted by Kilronan School after we had been recommended to them by a previous customer. They had raised money through a series of fundraising efforts and wanted a role play house with wheelchair access. 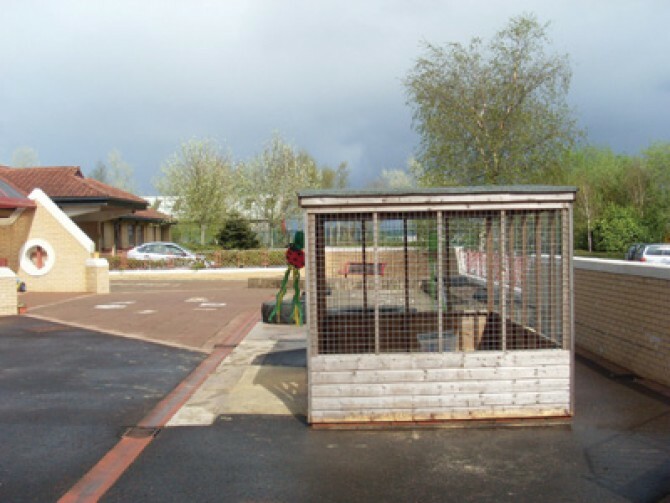 The School felt that this would enhance the children’s outdoor learning experiences through role/imaginative play. 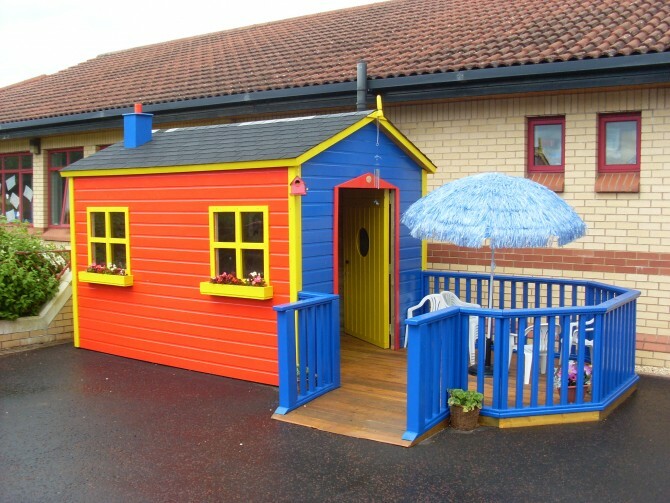 After seeing pictures of the role play houses we had supplied previously the School settled on a favourite design which Timbertots then needed to adapt to meet the needs of all the children who would be using it. They also wanted a dog kennel built after some of their children had played with one whilst visiting a school and had really loved it. After establishing the requirements of the school working off the AutoCAD drawings of our standard role play house David redesigned it to incorporate wider doors, added decking, a balustrade and ramp which were treated with a special paint to prevent slipping. 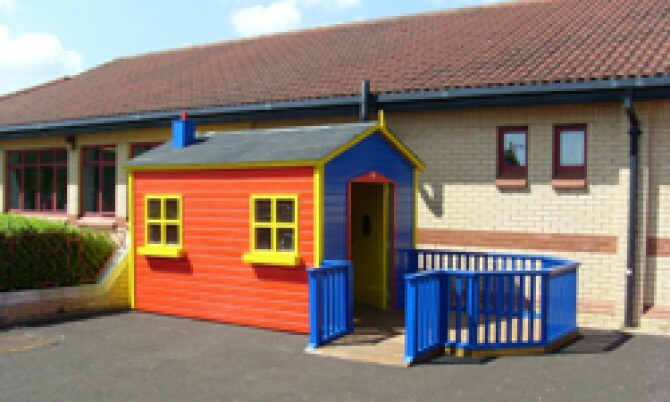 Whilst the adaptations complimented the design of the role play house they also fully addressed the Schools access requirements for the play house. 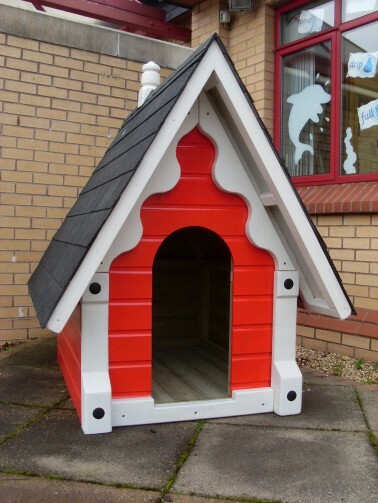 A separate drawing of the dog kennel was also produced. As with all of Timbertots products ranges both standard and bespoke, everything was designed to meet the requirements of EN1176 Playground Safety Standard. After a follow up visit the designs were finalised and colour drawing and quotation were supplied. The order was place in June 2011 and the manufacture and installation were completed in August 2011. The colourful items really transformed the playground and feedback from children and staff has been excellent.